Airocle’s 2 Series ridge & slope mounted ventilators provide economical, effective, ‘green’ solutions for a range of building ventilation needs. 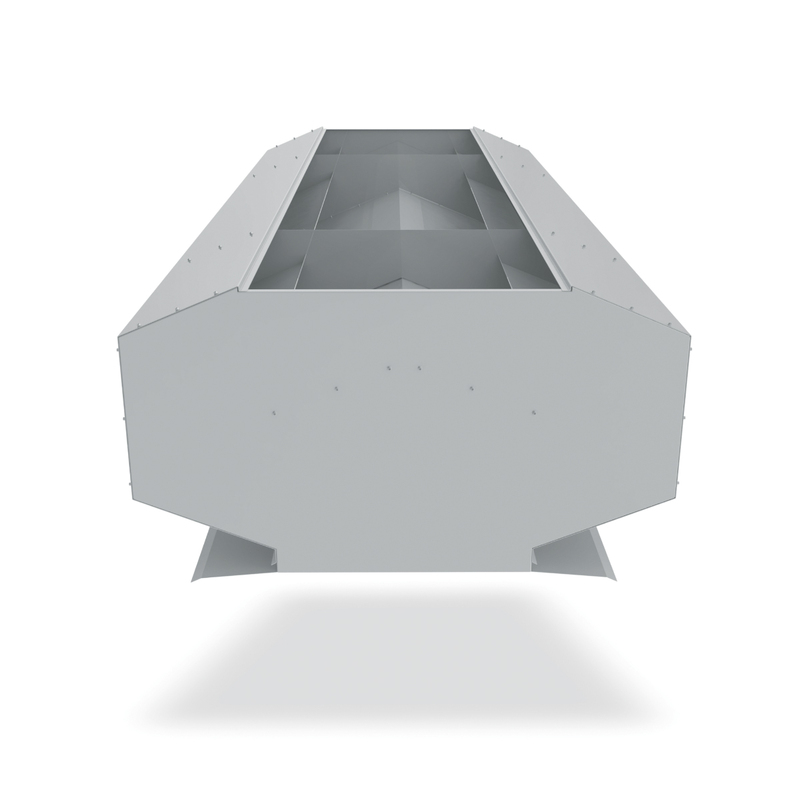 Environmentally-friendly and aesthetically-pleasing, our 2 Series roof vents use natural forces combined with innovative design to extract airborne waste and low to medium heat loads from buildings. Engineered to rigorous scientific standards to withstand fluctuating weather, they optimize building airflow by utilising thermodynamic forces to draw exhaust. Airocle’s 2 Series roof ventilators can be fitted to suit commercial, industrial and community projects. Architects are constantly pushing design boundaries to new frontiers. Airocle responded by engineering the 2 Series vents to incorporate a roof slope mounted variant. 2 Series slope mounted ventilators work their best on buildings where the area to be ventilated is not close to the ridge. Retrofitting to existing buildings, in cases where purlins are centred too close to install Ridge Ventilators. The slope mounted 2 series ventilator is the simplest solution to improve ventilation levels in particular zones of a building, whilst retaining the same-sized ridge ventilator across the entire project span. As not every roof has a ridge, the slope mounted 2 series is ideal as a stand-alone option for flat or skillion roofs and atriums. With more than 30 years of experience in the natural ventilation industry, Airocle’s professionals have developed continuous ridge roof ventilators to take maximum advantage of natural stack action – the fusion of temperature and height. Airocle’s ventilation systems offer a sustainable and energy efficient ventilation solution for any project – the perfect design solution for the future. Roof ventilators are weather-tight and storm-proof under all normal operating conditions. They are capable of withstanding a wind loading of 2.23 kPa. Airocle offers a range of options addressing fluctuating weather conditions, including rain and wind sensors. Airocle’s 2 Series vents are unobtrusive and low profile. They do not add greatly to the wind load on a building’s structure. Manufactured in accordance to AS2427-1983, Airocle’s 2 Series ridge & slope mounted ventilators are easily installable. Engineered to withstand extreme windloads, our low profile slope ventilators have been tested to AS 2428, Parts 1 and 2, wind and rain. Full test results are available from Airocle. Due to the need for makeup air, adequate inlets are essential for any ventilation system to operate effectively. Whilst an inlet ratio of 1.5 : 1 (inlet : discharge) is recommended, Airocle can assist in designing or developing a ventilation scheme to suit your custom circumstances. Simply contact us. Flexible to your individual requirements, Airocle has developed a range of materials to suit nearly every situation. These include: Fibre Reinforced Plastic (FRP), Colorbond, Zincalume, galvanised steel, aluminium, stainless steel or copper. Materials are shipped in completely knocked – down form with stop ends and necessary fixings. 2 Series ventilators use efficient design coupled with natural, ‘green’ science. Once installed, they’re able to operate with virtually no running or maintenance costs, providing long-term operational savings for both the building and the environment.